Making our customers happy every time they come to our dealership or service center is our top priority. 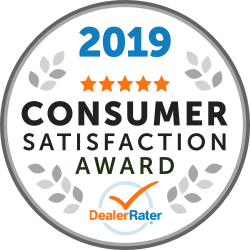 That’s why Salerno Duane INFINITI of Denville was pleased to hear that we have once again won the 2019 DealerRater Consumer Satisfaction Award! Earning this prestigious award means that we are among the top 10% of franchise dealers in the United States due to our DealerRater PowerScore rating. In order to determine our PowerScore, DealerRater uses a Bayesian algorithm that takes into account our average star rating on the site and the total number of reviews written on the site about our dealership during the 2018 calendar year. 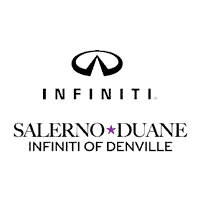 We’re honored that DealerRater has given us this distinction and we have our loyal customers and the diligent staff at Salerno Duane INFINITI of Denville to thank for it. We’ve previously received the Consumer Satisfaction Award in 2016.